Fall 1994. I hired on as an apprentice carpenter for a company that built staircases and hung trim. Thus began, for me, a lifelong enjoyment for working with wood, especially hardwoods like red oak and poplar. I was privileged to learn how to build curved staircases and these now fill quite a few houses in lower Michigan, where we lived at the time and have since migrated back to. 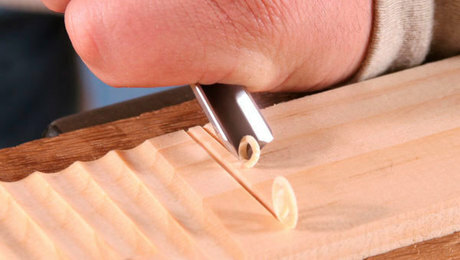 A carpenter learns very quickly that it is critical to keep his tools in good repair in order to do fine woodwork. Chiefly, this means sharpening cutting implements regularly. 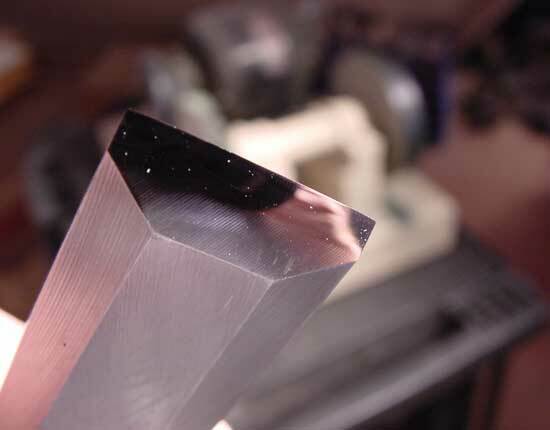 You may be surprised to find that dull tools—saws, chisels, router bits, etc.—not only do inferior work, marring the wood, but they are also dangerous. You risk injury using chisels with dull blades. A sharp saw does the work quickly, effectively, and safely. Vocational Skills – What talents and acuities do you have that you can sharpen now and in the days ahead? I work in Information Technology and am a musician. I try to read up on the latest technological innovations as well as become more proficient with the software apps I use in my work. And with my instruments, I practice and learn new stuff. Do you have a plan for skills development? Relationships – “You are the average of the five people you spend the most time with.” (Jim Rohn) What kinds of relationships do you cultivate to 1) add value to others and 2) help in your own development? If you walk with wise and ambitious people, you fuel your passion to grow and develop. But if you make a practice of hanging with people who are pessimistic and complacent, like it or not, it will affect you. Enthusiasm is contagious. So is discouragement and criticism. Choose wisely. Reading ­– That readers are leaders is axiomatic. And you are called to lead. What kinds of books do you plan on reading or listening over the next year? Here’s a good place to start: The Magic of Thinking Big (David J. Schwartz); How To Read A Book (Mortimer Adler & Charles Van Doren); Spiritual Leadership (J. Oswald Sanders); Emotional Intelligence (Daniel Goleman); Talent Is Overrated (Geoff Colvin). Possibilities are endless, but whatever you do, develop a reading plan for the next year. Now go sharpen your tools and build. You will be astounded at what they produce. In early Autumn, 1994, I hired on as an apprentice carpenter for a company that built staircases and hung trim. Thus began, for me, a lifelong enjoyment for working with wood, especially hardwoods like red oak and poplar. I was privileged to learn how to build curved staircases and these now fill quite a few houses in lower Michigan, where we lived at the time. Reading ­– That readers are leaders is axiomatic. And you are called to lead. What kinds of books do you plan on reading or listening over the next year? 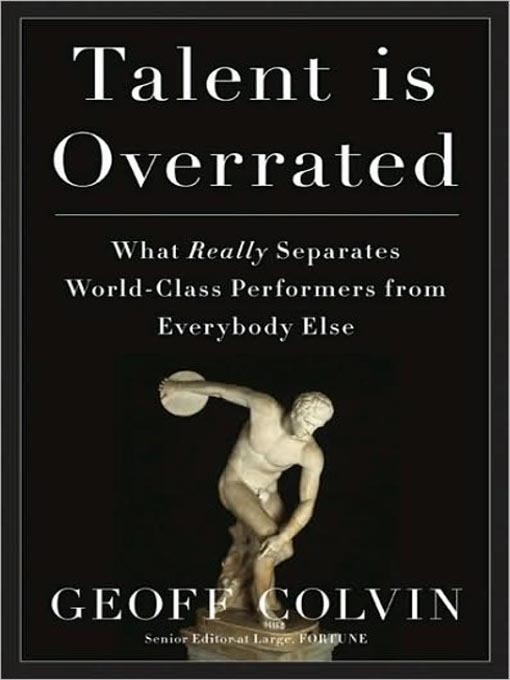 Here’s a good place to start: The Magic of Thinking Big (David Schwartz); How To Read A Book (Mortimer Adler & Charles Van Doren); Spiritual Leadership (J. Oswald Sanders); Emotional Intelligence (Daniel Goleman); Talent Is Overrated (Geoff Colvin). Possibilities are endless, but whatever you do, develop a reading plan for the next year. 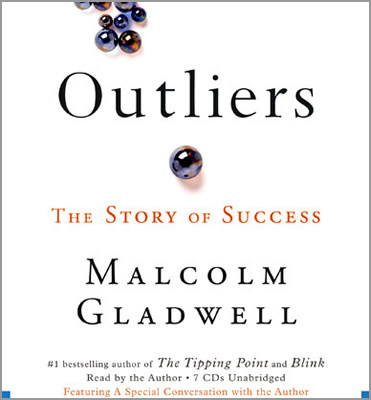 Last year I read a remarkable book, Outliers: The Story of Success by Malcolm Gladwell. I am stunned by the results of Gladwell’s investigation into the hidden causes of success. It is one of the most fascinating and upsetting books I’ve read in a long time. Upsetting in a good sense, that is. It upsets commonly cherished ideas about how people attain success in life. In his book The Road Less Traveled and Beyond, M. Scott Peck argues that one of the characteristics and problems of our age is what he calls simplism. Simplistic thinking fails to take into account that life is complex. There are many variables that make up the people we live with and the challenges of our time. The rub is that the variables are not always apparent. It takes probing, time, patience and labor, for thinking is work. Really. I’m not writing today’s post as a spoiler for Gladwell’s book. You owe it to yourself to get your hands on it and read carefully. When I finished the book, I was struck with the reality that I am far too quick to pass judgment on the issues of the day, on why some fail and some succeed, even on theological issues—the area that I’ve given the most attention to since the early 1980’s. Rarely are all the facts and evidence on the surface. We are all composites of the influences and environments in which we were raised and in which we now spend our lives. We are not simply our genetic makeup, products of our DNA. More often than not, there are hidden factors that figure into the success of some, the failure of others. Timing often figures in as much as raw ability. We can thank Malcolm Gladwell and those like him (Scott Peck, Geoff Colvin, etc.) for digging deeper and giving us the full picture. What cultural and economic tides are coming in right now that I can make the most of? In other words, can I discern the signs and trends of the times? My friend Christopher Hopper has written extensively on the emerging wave of self-publishing. You can read about that here. It most certainly will be a force in the literary world in the days to come. But it needed a level playing field, courtesy of the World Wide Web, to function and in which to be established. What current politically hot issue engages me the most and do I have solid, consistent thinking and evidence to support my position? Democrats routinely chide pro-life evangelicals for being oxymoronic—at once militantly anti-abortion and also vehemently pro-war (or pro-death penalty). Are the criticisms valid? Am I patient enough to thoroughly research problems and find meaningful solutions? Peck again. You must be patient and resist the urge for simplistic, easy answers. Thinking is work. Are you up to it? Digest Gladwell’s book. It is a very important contribution! People tend to get quite uneasy at the mention of the word ambition in context of discussions about career, calling, vocation. The classic stereotype is the self-centered man or woman who claw their way to the top of the corporate ladder stepping on anybody and everybody who happens to be perched on the rungs below–and in their way. Ego, indifference to time-honored virtues, and bullying are all. This is unfortunate. Frankly, ambition has gotten a bad rap. In fact, without it you will not hit any of your goals, whether personal and professional. Last year, some friends and I discussed healthy ambition and its importance.. We focused on moving up in one’s career and becoming the best in one’s chosen field. There is cost, effort, and sacrifice expended to make this happen. There’s no such thing as a free lunch. The pursuit of a highly valued station of influence and achievement takes patience, focus and a lot of hard work. Those who take shortcuts are cheating themselves and are usually found out. Here’s something you may not know. Tiger Woods and Wolfgang Amadeus Mozart both had fathers who started them on the paths of golf and music from infancy. Earl Woods had a putter in Tiger’s hands before he was a year old. Leopold Mozart was an established musician and composer before his son was born. He set Wolfgang on a very focused and intense vocation in musical performance and composition from childhood. Neither Tiger Woods nor W. A. Mozart were geniuses in common parlance and legend. They spent many years mastering their crafts. Peak performers in any discipline acquire that position through untold hours of deliberate practice. Not just practice, but focused periods of review and goal setting with specific objectives in mind. When Tiger Woods goes to the driving range, he doesn’t simply pull out a driver and see how far he can hit the ball. Instead he might take a five iron out and practice hitting the ball not more than sixty-five yards. There is much more intense energy and concentration that attends deliberate practice. You must be a lifelong learner. This means college, vocational school, online seminars, or training at the feet of a master whether a cabinet-maker or a jazz pianist. It will cost time, discipline, sacrifice, and money. Make the investment. Saying yes also means saying no. Getting to the top of the classical guitar world meant that a teenage Christopher Parkening was unable to play baseball with his pals as much as he’d like to have done. His father, Duke, had him executing deliberate practice from the age of eleven. Up at 5:00 AM to practice before school. More practice when school was over. Choosing mastery in an enterprise means you will not be able to say yes to lots of other pursuits simply because of the time and focus it takes to excel in your chosen field. You must move past the drudgery curve. A woman once told the great pianist Ignace Jan Paderewski, “You are a genius.” His reply: “Madame, before I was a genius, I was a drudge.” The driving range, the woodshop, the music room are not glamorous environments but it is in such places, over long hours, that one becomes a master. The world is looking for individuals who are outstanding at what they do. Mediocrity, for such as these, grates against every instinct inside them. You are called to such excellence. The sky is the limit. Focus and move forward. Ambition has become suspect in the minds of a lot of people. The classic stereotype is the self-centered man or woman who claw their way to the top of the corporate ladder stepping upon anybody perched on the other rungs. Ego, indifference to time-honored virtues, and bullying are all. Some months back, some friends and I discussed healthy ambition and its importance.. We focused on moving up in one’s career and becoming the best in our chosen fields. There is cost, effort and sacrifice to do this. There’s no such thing as a free lunch. The pursuit of a highly valued station of influence and achievement takes patience, focus and a lot of hard work. Those who take shortcuts are cheating themselves and are usually found out. Here’s something you may not know. Tiger Woods and Wolfgang Amadeus Mozart both had fathers who started them on the paths of golf and music from infancy. Earl Woods had a putter in Tiger’s hands before he was a year old. Leopold Mozart was an established musician and composer before his son was born. He set Wolfgang on a very focused and intense vocation in musical performance and composition from childhood. Neither Tiger Woods nor W.A. Mozart were geniuses in common parlance and legend. They spent many years mastering their crafts. Some months back, we discussed healthy ambition and its importance in one of our weekly leadership gatherings. We focused on moving up in one’s career and becoming the best in our chosen fields. There is cost, effort and sacrifice to do this. There’s no such thing as a free lunch. The pursuit of a highly valued station of influence and achievement takes patience, focus and a lot of hard work. Those who take shortcuts are cheating themselves and are usually found out.